This newest book in the series is Coming Soon! Opioids come with distinct danger and consequences. 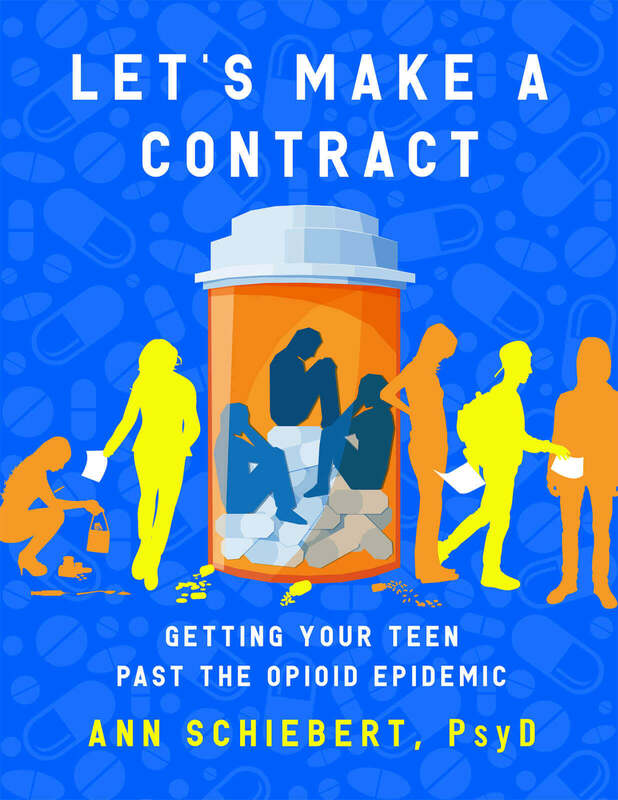 No other book on the market specifically targets the intersection of teenagers and opioids—both of which come with their unique challenges. From brain chemistry to recovery intervention techniques, Dr. Schiebert’s book exposes the relevant nuances of opioids and how they impact an individual and those around them. See if this sounds familiar. You begin a romantic relationship with so much hope and promise, thinking that this time is going to be different. And for a while it is. You’re on top of the world. But then things slowly start to devolve. At first it’s little annoyances, then you catch yourself getting in bad moods more often. You start to fight, promises are broken and you begin to realize that you’re stuck in a never-ending cycle, wondering how things got so bad so fast. Of course, this is just one possible scenario of countless types of relationship struggles. If you’re in an unhappy romantic relationship, you are not alone. People all over the world find themselves trapped in the same self-destructive patterns in their lives. Fortunately, there’s a way out, and in this book I’m going to show you how to pull yourself out of your unhappy romantic relationship patterns. How to do an inventory that will help explain the reason you get yourself into unhappy romantic relationships and why you stay in them. 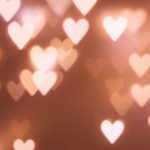 Tools, advice and wisdom that can help you navigate your unhappy romantic relationship patterns. 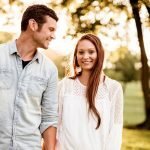 How people “fall in love” chemically and obsessively and how you can become “intoxicated” by the “rush” to love. Why many of us tend to disregard our values in favor of someone else’s and why we allow value violations. You’ll also find contract template examples that will enable you to create structure, establish boundaries, and address your expectations in potential romantic relationships—so you always know you’re going in with both eyes open! You will also discover how to begin a new pattern of healthy relationships, so you can start fresh. 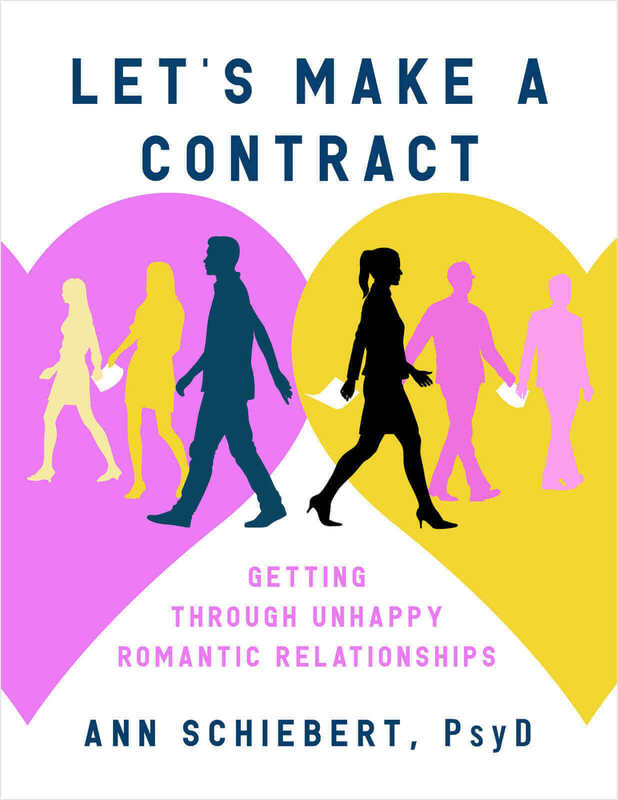 Getting Through Unhappy Romantic Relationships is part of the Let’s Make a Contract Book Series. 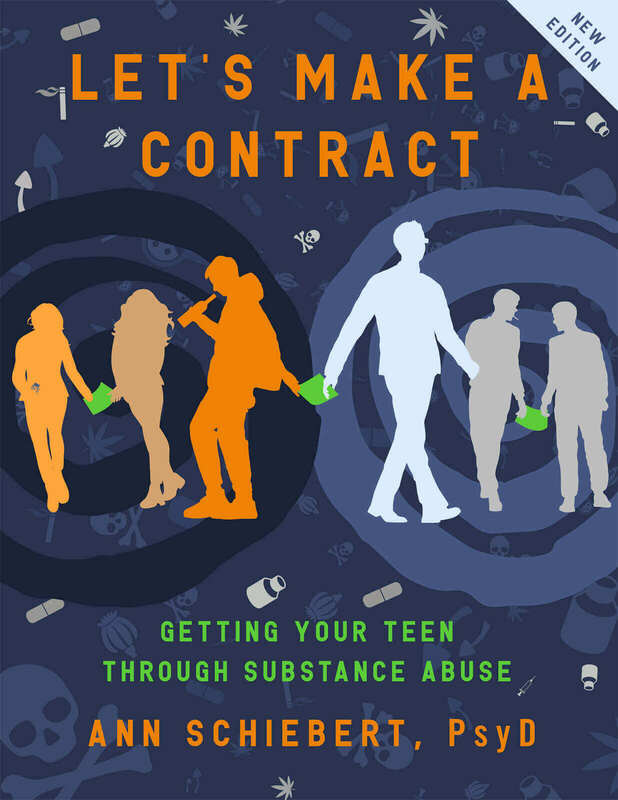 Here is the long-awaited definitive book about how to get your teens and young adults through substance abuse issues. It contains scripts for parents and sample contracts that, when implemented, will make your family relationships less chaotic and more pleasant in the long run. Are you tired of arguing with your teens about why they shouldn’t drink or use drugs? 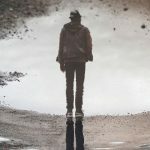 Are you exhausted from trying to reason with the “unreasonable?” Have you found yourself at a loss when faced with creating meaningful consequences for violations of agreements between you and your teen? Do you feel like throwing your hands in the air and telling yourself “They will grow out of it, I need a nap?” If so, this is definitely the book for you and all your family members. 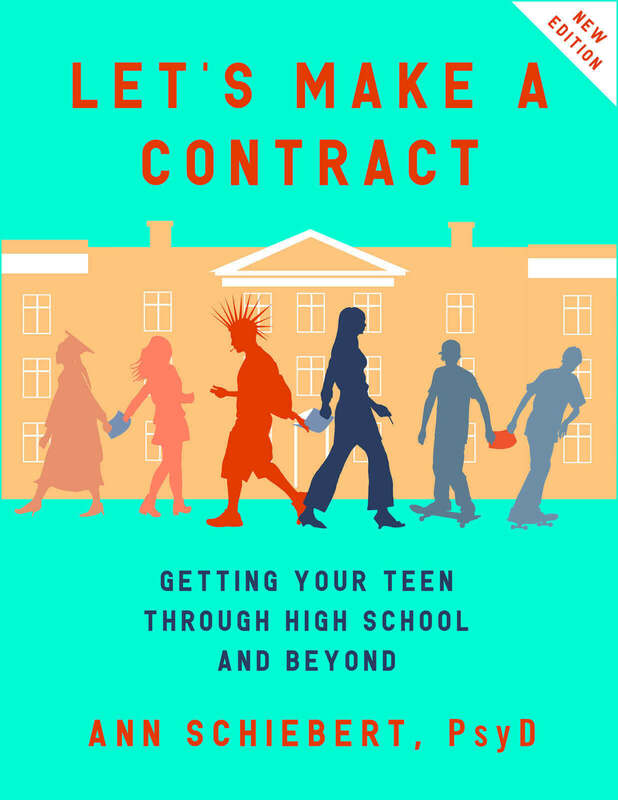 Here is the long-awaited, definitive book about how to get your teens and young adults through high school. It contains scripts for parents and sample contracts which, when implemented, will make your family relationships less chaotic and more pleasant in the long run. 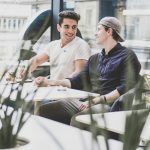 Are you tired of arguing with your teens? 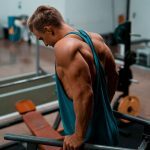 Are you exhausted from trying to reason with the “unreasonable”? Have you found yourself at a loss when faced with creating meaningful consequences for violations of agreements between you and your teen? Do you feel like throwing your hands in the air and telling yourself, “They will grow out of it, I need a nap”? If so, this is definitely the book for you and all your family members.